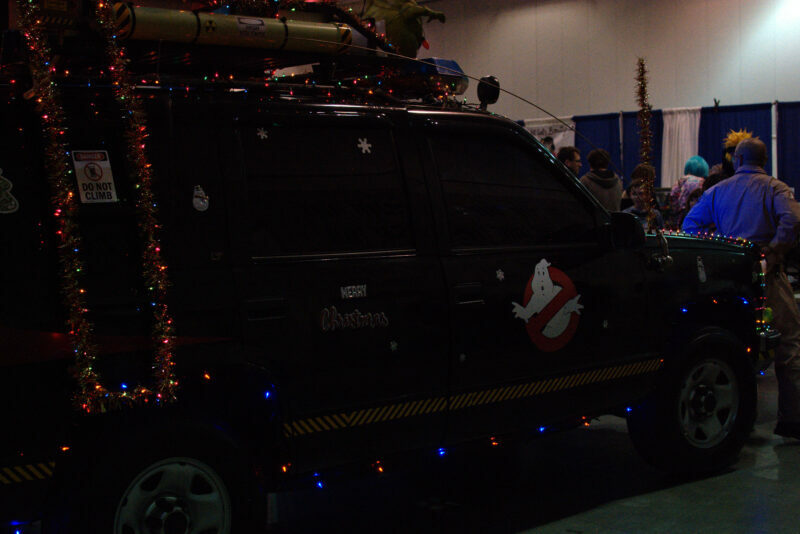 On Saturday December 8, I attended Ocean City Comic Con. This was my sixth convention, but the first in my home state. While this convention may have been the smallest con I’ve been to so far, it may be my new favorite. A group of Spider-Man, Miles Morales and Deapool cosplayers at Ocean City Comic con were posing for photos with con goers. Photo by Kayla. The convention was held at the Roland E. Powell Convention Center in Ocean City, Maryland. This was the second year the convention has been held, but the first year at this venue. The convention outgrew its venue from the previous year. This says a lot for this event and the need for it in this area. Many fans have to travel outside the area to Philadelphia, Baltimore or Washington D.C. for events and cons. And while this event is much smaller than conventions like Wizard World, the fans were no less passionate and excited to be there. Steampunkd Batman and Robin.Photo by Kayla. 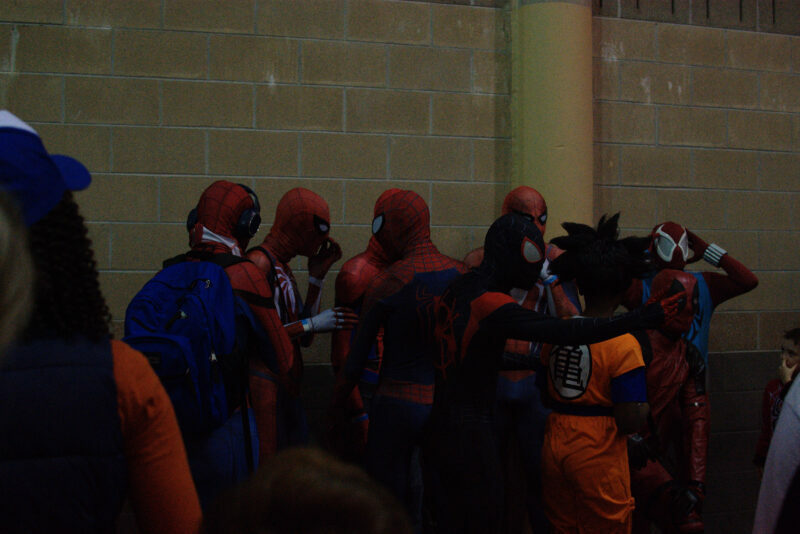 Cosplayers were in abundance-you didn’t have to look far to see a Spider-Man, Deadpool, or anime character. 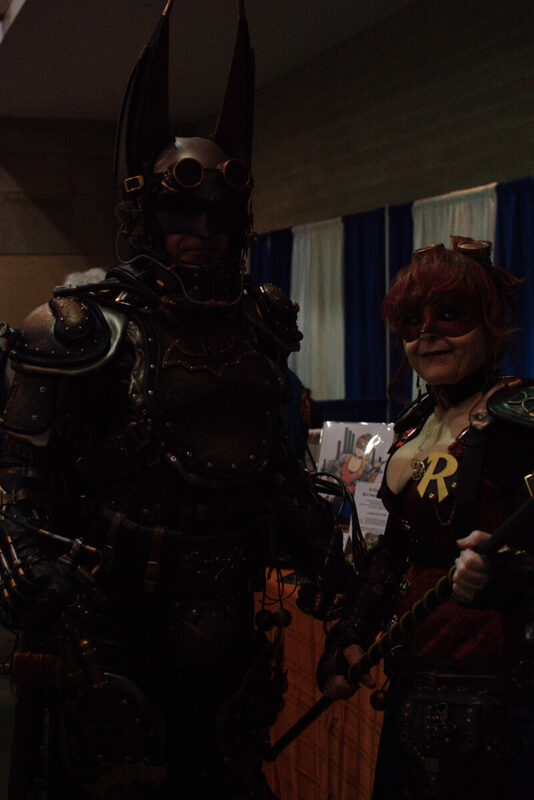 There were a few official cosplay guests including Katie Coe, Carter Cosplay, Ally Blaze, Sharon Rose, and Steampunk’d Batman. Artists were also in attendance selling prints and taking commissions along with toy, comic, game and collectible vendors. In addition Delores The DeLorean was there for fans to see and sit in, Doc Hollyday Designs brought their TARDIS, the Eastern Shore Ghostbusters and The 501st Legion Old Line Garrison were also in attendance. There were also events taking place off the convention floor including panels and anime screenings. I attended one of the panels called The Definition of “Geek” hosted by Loading Snacks. Are you comfortable being a geek? If yes, why? If no, why not? How can we help each other be more comfortable being who we are? This panel will open the discussion on the definition of “geek” and how it has changed in recent years. We will discuss how our level of comfort with this and other labels has changed as more obscure pastimes such as reading comic books, playing video games and watching anime has bled over into the mainstream. As a collective, the Loading Snacks Crew prides itself on being geeks that don’t fall into the mold of the typical stereotype. We are very proud of who we are and are very comfortable with the term “geek”. However, it hasn’t always been that way for us and we’re sure that others have struggled with finding a comfort zone. We feel that it is important to discuss the observations we have made over the years that have helped us cope with our own lack of self esteem and over time, reach the level of pride we currently have. The discussion will cover aspects of television, film, music and fashion. We will open with a look into our personal journeys as geeks with participation from the audience. During this time we will delve into the parallels of geekdom and how they apply to the likes of sports, cars and any other hobby that isn’t traditionally seen as “geek”. We’ll also discuss how the trend of super hero films over the last decade or so has affected the availability of fashion that conforms to popular culture, how it influences said culture, and how that change has made many people more comfortable putting what they love on display for all to see. This panel was a lot of fun. The Loading Snacks guys talked with us about how they first knew when they were “geeks”, if families were supportive of our interests, why we didn’t ‘grow out of’ the things that interested us, and what being a geek vs. a nerd meant to us. The discussion during the panel was a lot of fun, and the guys gave good, insightful answers. I left the convention already excited for next year. There is no place like a fan convention. No matter your fandom or your interests. Being in a place with other people who are passionate about the things they love is a wonderful feeling. Though you’re all different, you feel like you belong at a fan convention. And in an area like the Eastern Shore of Maryland it can sometimes seem hard to find other fans or people who are passionate about the same things you are. Ocean City Comic Con has met a need that the community in this area has needed for a long time, and it is an event I hope continues to grow and I will definitely be attending again. Disney Releases “Moana As Told By Emoji”!